Following on from SHELTER comes the second novel in the fantastic, action-packed Mickey Bolitar series of young adult thrillers from the master of the hook-and-twist. 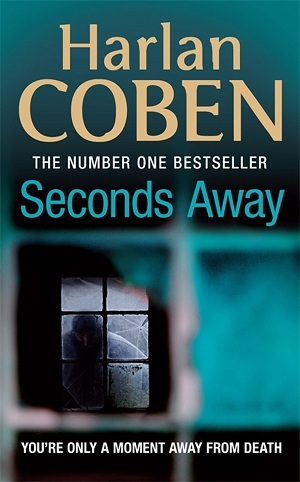 Having ended the Edgar Award-nominated SHELTER with a jaw-dropping cliffhanger, Coben picks up Mickey's story right where it left off in this suspenseful new adventure. Mickey and his loyal new friends, sharp-witted Ema and adorably charming Spoon, once again find themselves in over their heads on the hunt for missing pieces to a puzzle they have yet to understand. As the mystery surrounding Mickey's dad's death unfolds, he soon learns that they may be in more danger than they could have ever imagined. After reading the first book in this series last year, I was looking forward to reading this one, especially after the cliffhanger ending in Shelter. Mickey really wants to know what happened to his father, and is starting to wonder if he's really dead at all. The Bat Lady is the one who started him on this path in the first place, but now doesn't want to answer his questions and instead kicks him out of her house. As much as he wants to know what really happened to his father and if a Nazi from WWII had anything to do with it, one of his friends is in trouble. Rachel was shot and her mother killed. So Mickey and his friends Ema and Spoon can't help themselves, they're determined to help figure out what really happened to Rachel.